Establishing a small business on your own can be tough. This is why many choose to go with an established brand. At Yogurtini, we have an incredible culture that focuses on our franchisees’ success. Riding on several decades of franchising experience with our parent company, Rocky Mountain Chocolate Factory, we have developed a system that will help you jump-start your business and provide you with a competitive advantage in your market.  As a franchisee, you will have access to all of our support systems and expertise as well as our trade secrets and unique strategies. Our constant efforts and economies of scale help keep product costs low and consistent product available. Additionally, you will benefit from Yogurtini's brand recognition and the integrity of the Yogurtini name. Frozen yogurt sells well in warmer months while chocolate sells well in cooler months. Through a special arrangement with our parent company, Rocky Mountain Chocolate Factory, you can add a complementary offering of fine chocolates and caramel apples to expand your market. Yogurtini's premium and top-quality distinctive flavors are developed by some of the most knowledgeable yogurt innovators in the industry. Our product is certified to contain live and active cultures to promote good health, plus its creamy texture, original flavors and extensive toppings have been praised by the masses as the best tasting and highest quality frozen yogurt available. The Yogurtini name assures your customers that they can expect the same great quality frozen yogurt time after time. We provide you with an excellent business model which includes all the necessary training and assistance you’ll need to create a thriving business. Our staff includes experts in real estate, construction, training, operations and marketing. We help you identify a suitable trade area in your region in which to search for your location. We are aligned with the top brokers in the country and will assist in finding you the right local support to identify your location. These brokers work closely with our real estate team to understand the specific requirements of a frozen yogurt location. You will be accompanied through this process by our Development department who will be with you every step of the way. In addition to helping you find the best location possible and negotiate the LOI (letter of intent) for your space, we retain experts to aid in your lease negotiation to see that your interests are protected at every step. The day you join the Yogurtini family, our support team will be on hand to assist you with all the elements below. We have a roster of national and regional General Contractors who are approved to provide construction services. We will also work with your preferred contractor to see that they have all of the details they need to get the job done right and on time! Our in-house designer will work with you to establish the best floorplan for your site and help to communicate all the necessary information to a dedicated architect to get your plans done quickly and efficiently. You will be trained at a certified training store by one of our approved training instructors prior to opening your store. We have a dedicated team that will assist you with ongoing training and support issues. Help is never more than a phone call away. Assistance beyond marketing in how to work toward increasing sales on a continual basis. Identifying areas to improve through the analysis of your Profit and Loss statements, looking for areas where improvements can be made on the financial side of managing the business. Ongoing coaching and training as well as periodic visits from our support team. We will work with you to prepare a comprehensive grand opening strategy to help launch the opening of your store with the largest impact possible. You will be appointed a Business Coach who will work with you on an ongoing basis to ensure the best use and application of your marketing budget and to assist with the implementation of your new and innovative marketing ideas.